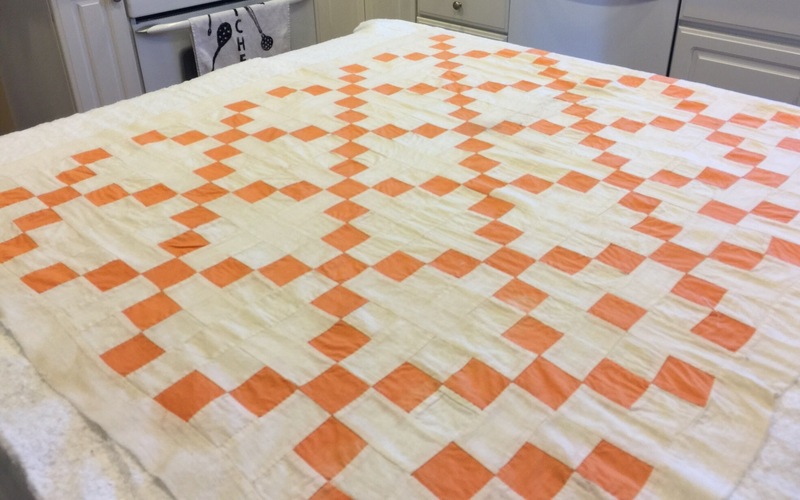 I often have people ask me if it is okay to wash vintage quilt tops. I always emphatically say no! I have seen so many lovely tops that turned into a frayed ball of threads from being washed before being quilted. But then I bought this top that I shared last week. See that dirty spot in the middle? It bugged me so badly that I hand washed this little top. It looks a little better! I just used a few drops of Dawn dish washing liquid in a sink full of cool water and gentle agitated it by hand. Then I basted by hand. 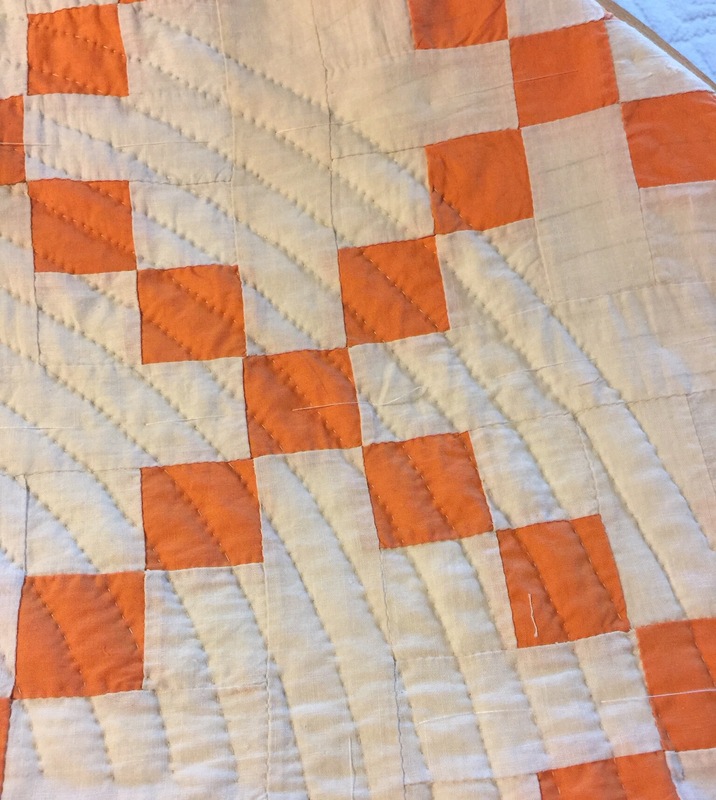 And now I am quilting. It is a good project to work on in bits and pieces with the kids home. 7 Responses to Do As I Say….. Your stitches are tiny. What type batting did you use? 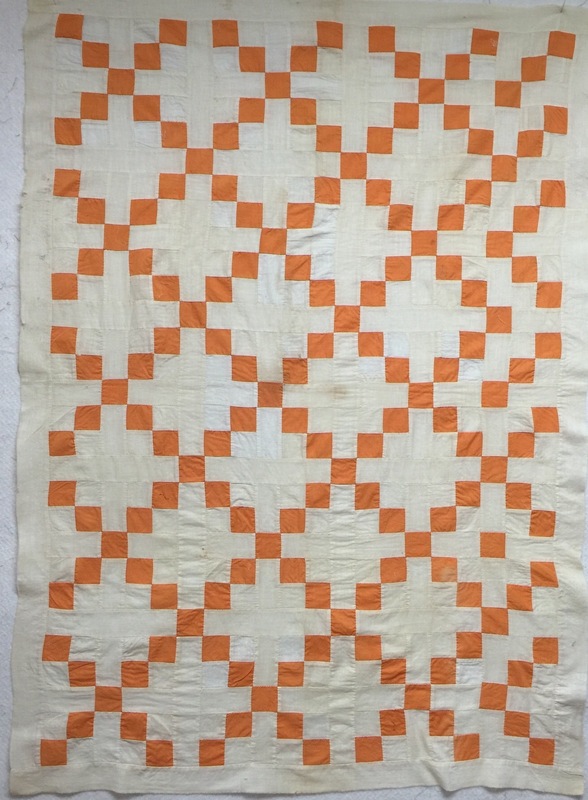 I have heard that Retro Clean works wonders for getting stains out of vintage pieces. 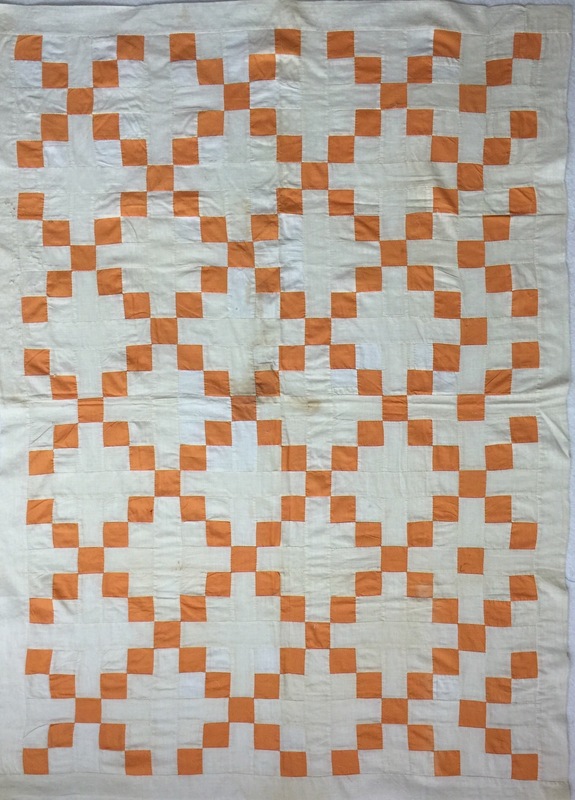 I have never used it personally but a friend tried it on some vintage handkerchiefs and tea towels and it was amazing how the stains came out. She was worried about the embroidery on her pieces but the Retro Clean did not harm the stitching at all. Your stitching is beautiful! I love that you have rescued this vintage top and are finishing it up! What beautiful stitches. What batting do you use for hand stitching?